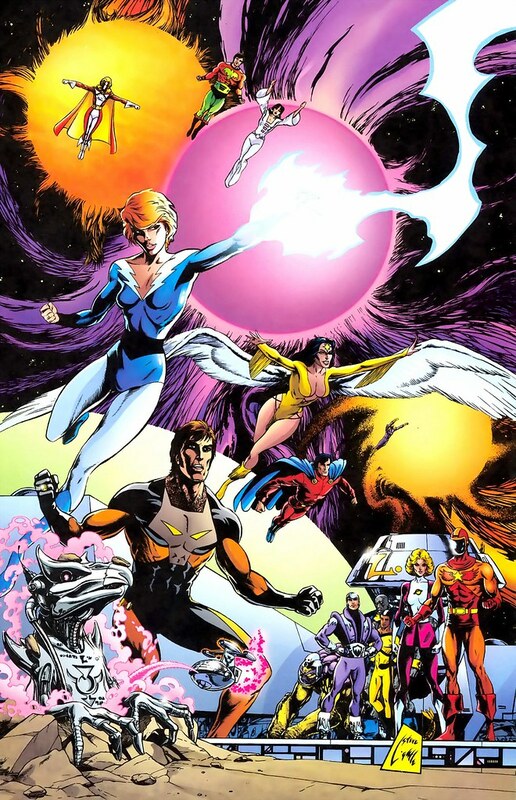 If you are a Legion fan, no doubt you already have this book called Legion of Super-Heroes: 1050 Years of the Future . It has a lot of great Legion stories and memories, but it also has some of the greatest illustrations, re-colored with modern techniques. This pin-up by Steve Lightle is a great representation of the mid-80s era of the Legion. You've got a character that Lightle co-created, Quislet, front and center. But you've also got Timber Wolf, Light Lass, Mon-El, and my favorite Legionnaire, Dawnstar. Now I had to really think about where this piece first appeared. I searched through all my Legion back issues and came up with nada. But the answer was on the table of contents in the Legion book. 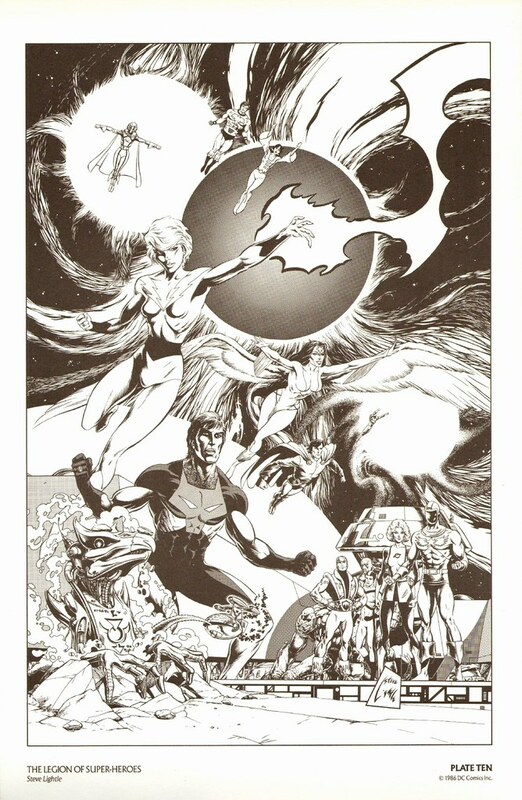 Steve Lightle's illustration was a part of the 1986 History of the DC Universe portfolio. This portfolio was published to co-incide with the History of the DC Universe prestige series by Marv Wolfman and George Perez. It also celebrated the birth a new DC Universe...one that would actually destroy the Legion team that I loved. Thanks to Geoff Johns, all that evil has been undone. Nuff Said!